Mega Sale! Free Shipping Included! 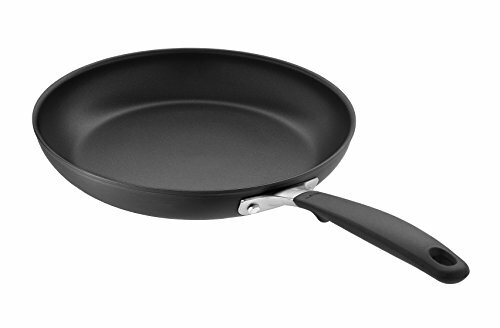 Save 21% on the OXO Good Grips Non-Stick 12'' Open Frypan by OXO at Mystic Oaks. MPN: FBA_CW000957-003. Hurry! Limited time offer. Offer valid only while supplies last. The OXO Good Grips Non-Stick Cookware line brings together an array of top-notch features, making it ideal for the home chef or professional cook. The OXO Good Grips Non-Stick Cookware line brings together an array of top-notch features, making it ideal for the home chef or professional cook. Each piece offers a thoughtful design, from heavy-gauge Anodized Aluminum and non-slip silicone handles to drip-free pouring edges and even heat distribution. The German-engineered, PFOA-free, 3-Layer Non-Stick coating allows for effortless food release with minimal oil or butter, and the durable, scratch-resistant, Hard-Anodized Aluminum construction ensures superior heat conduction and even cooking. The riveted stainless steel handles wrapped in heat-resistant silicone provide a comfortable grip for a secure hold and feature finger guards to keep your hands safe from hot stovetops. The silicone-metal construction is perfect for all stovetops, except induction, and can move directly from the stovetop to oven (oven-safe up to 390 Degree Fahrenheit/200 Degree Celsius). The 12" Open Fry pan is ideal for frying eggs, caramelizing onions, and more.